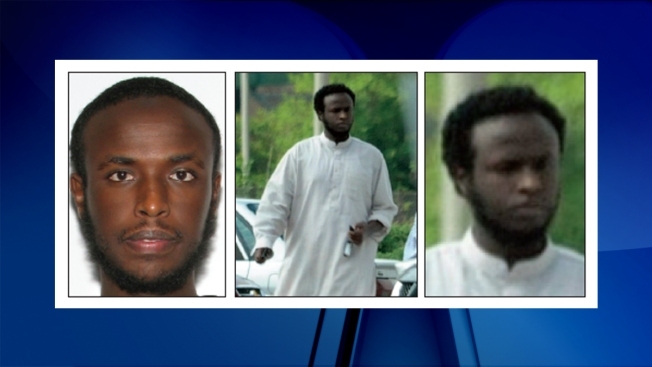 A former D.C.-area cab driver has been added to the FBI's Most Wanted Terrorists list. Liban Haji Mohamed, 28, lived in Alexandria before leaving the United States in 2012. The FBI said he's a known supporter of Al-Shabaab and Al-Qaeda. He is wanted in connection with providing material support to those terrorist groups. Mohamed is believed to have left the United States on July 5, 2012, with the intent to join Al-Shabaab in East Africa, according to the FBI. He should be considered armed and dangerous, the FBI said. According to the FBI, Mohamed was a close associate of Zachary Chesser of Bristow, Virginia. Chesser was sentenced in 2011 to 25 years in prison for attempted material support to Al-Shabaab and for posting online threats against the creators of "South Park" over a 2010 episode he found insulting to the prophet Muhammad. A federal warrant for Liban Haji Mohamed's arrest was unsealed Thursday in Virginia. Mohamed, who was born in Somalia, speaks English, Somali and Arabic. He is six feet tall and weighs 194 pounds. He could be using aliases of Abu Ayrow, Shirwa or Shirwac, Qatiluhum and Qatil. The FBI said he is traveling with a U.S. passport that expires in May 2018. The FBI is offering a reward of up to $50,000 for information leading to his arrest and conviction.